Following the stakeholder consultation, NICE have this morning announced they will now commence a FULL REVIEW of the guideline for ME/CFS, effectively overturning previous expert advice not to update it. ‘We will plan a full update with a modified scope of the guideline on chronic fatigue syndrome/myalgic encephalomyelitis (or encephalopathy) (NICE guideline CG53). ‘Initial assessment of the evidence against the guideline scope indicated that there was no clear signal that the identified new evidence would result in changes to the recommendations (see appendix A: pre-consultation summary of evidence from surveillance). ‘Following a stakeholder consultation on the proposal to not update the guideline, broader issues with the guideline were highlighted that called into question the guideline scope and its current relevance. ‘After further consideration of information from stakeholders including new evidence (see appendix B: summary of evidence highlighted to NICE during consultation, and appendix C: stakeholder consultation comments table) alongside the evidence identified through the surveillance review, NICE has decided to fully update the guideline with a modified scope. ‘No equalities issues were identified during the surveillance process. ‘After considering all the evidence and views of topic experts, we decided that a full update with modified scope is necessary for this guideline. ‘See how we made the decision for further information. Aetiology is outside the current scope. However many stakeholders raised the issue in respect to its impact on diagnosis and treatment. Interventions recommended in the guideline are based on the biopsychosocial model. Stakeholders raised that since 2007, much has changed with respect to biomedical knowledge. Biological models based on measurable abnormalities may need greater consideration. Newer terms for the disease are proposed e.g. US Institute of Medicine 2015 propose ‘systemic exertion intolerance disease’ (SEID) whilst other stakeholders advise that myalgic encephalomyelitis should be the preferred term. Severe ME is not well covered in the guideline and can cause profound issues. Some stakeholders indicated that parents of children with severe ME sometimes find that false allegations of child abuse are made against them due to poor understanding of symptoms, care and treatment by healthcare professionals and schools. Oxford criteria (used to recruit to many studies included in the guideline) and NICE criteria are too broad. Newer diagnostic guidelines from the US Institute of Medicine (2015) and International Consensus Criteria (2011) are different from NICE criteria. Specific paediatric criteria have also recently been proposed. Late diagnosis is an issue. Concerns have been expressed over misdiagnosis and overlap with other conditions e.g. pernicious anemia, Ehlers-Danlos syndrome, and Postural Tachycardia Syndrome. Consideration of new research on metabolomics and biomarkers may be warranted. There is variation in primary care management, and there is evidence of unequal access to specialist services. 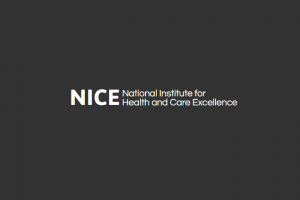 Stakeholders noted that NICE’s evidence reviews are not up to date, therefore patients are not receiving the full picture on recommended treatments (such as studies that have shown inefficacy of cognitive behavioural therapy [CBT] or harms of graded exercise therapy [GET]), nor being told about alternative treatments, which may affect informed consent. Greater support for GPs (many of whom feel ill-equipped in this respect) is needed to help with diagnosis, to provide accurate information (for example evolving evidence on risk and benefit of treatments), and to consider what an ‘individualised management plan’ might look like in practice. A large volume of new evidence since 2007 needs to be incorporated. A separate section for children within the guideline should be considered. The US Centers for Disease Control and Prevention have dropped CBT and GET from their list of recommended treatments for CFS/ME. Evidence was cited of harms of GET, and pacing should be considered as an option. Key trials (particularly PACE [Pacing, graded Activity, and Cognitive behaviour therapy; a randomised Evaluation], but also Cochrane reviews of CBT and GET) have been criticised for inflating the efficacy of interventions. Issues include that some studies only require fatigue in the case definition, which may incorporate other fatiguing conditions with the potential to complicate results. There may be distinctions between people with CFS and with ME that should be accounted for. Patient surveys appear to contradict findings from randomised controlled trials and systematic reviews regarding the safety and efficacy of CBT, GET and pacing. Large randomised controlled trials such as PACE and GETSET, and Cochrane reviews, appear to support the guideline recommendations on CBT and GET. A hospital department supplied data that patient reported outcome measures completed by patients receiving >18 sessions of CBT and/or GET improved 60% on the SF-36 (a patient-reported general health outcomes scale). Structured exercise programmes, for example the Klimas programme. Complementary and alternative therapies: co-enzyme Q10, magnesium supplementation, herbal medicine, acupuncture, the Perrin osteopathic treatment, gentle yoga/meditation and acupuncture/acupressure. 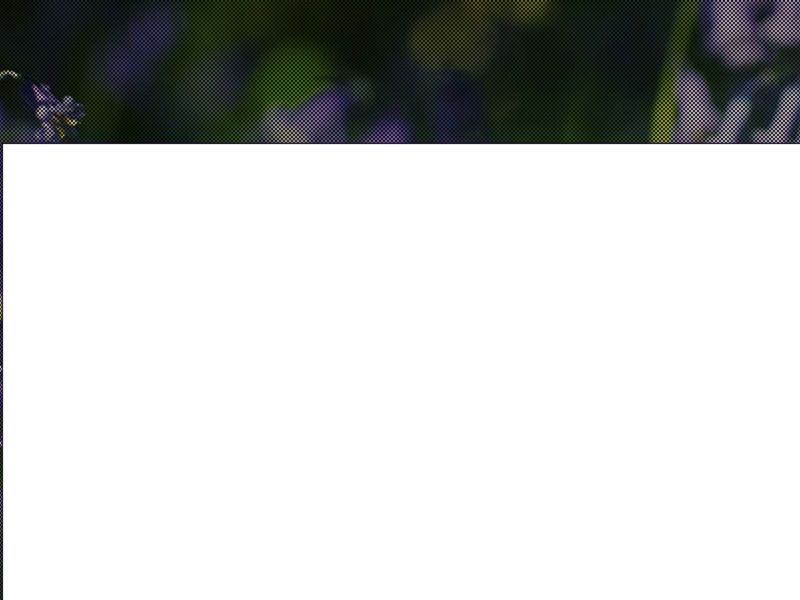 Pharmacological treatment: rintatolimod, rituximab and anakinra. The ME Association will bring you more news in due course as well as reaction to this latest welcome development. You can read how NICE made this decision on their website. It very much looks as though stakeholder submissions and advocacy efforts won out. Well done everyone who was able to take part and make a submission, and a special thank you to all who supported our petition calling for a full review of the guideline. The Government has repeatedly confirmed in Parliament that it accepts the World Health Organisation classification of ME. However NICE Clinical Guideline Development Group refused to accept either the WHO ICD-10 classification of ME under neurology at G93.3, or a biomedical definition such as the Canadian Consensus Criteria (now superseded by the International Consensus Criteria). Why is NICE, which is funded by taxpayers, permitted to fly in the face of Government policy? NICE CG53 did not intend to apply, does not apply and never has applied to people with ICD-10 G93.3 Myalgic encephalomyelitis. Why the MEA cuts the ground from beneath people with ME by renaming the disease Myalgic encephalopathy I can only speculate. Myalgic encephalopathy exists neither by definition nor classification. hole range of additional symptoms not seen in exercise intolerance POTS patients. Please note that ICD-10 is not the only terminology system in use in the UK and other WHO member states. SNOMED CT clinical terminology system will become mandatory for use throughout NHS Primary Care by April 2018. The Read Code (CTV3) Primary Care system is being retired. Mandatory adoption of the SNOMED CT terminology system across all NHS clinical settings is scheduled for 2020. SNOMED CT is used alongside ICD-10 and there are existing mappings between SNOMED CT and ICD-10. The mapping of SNOMED CT to the forthcoming ICD-11 is under development. ICD-10 does not define what it understands by the terms, “Postviral fatigue syndrome”, its Inclusion term, “Benign myalgic encephalomyelitis” and the Index term, “Chronic fatigue syndrome” other than having located these terms under the chapter, Diseases of the nervous system. Nor does ICD-10 define how it views the relationship between the three terms. SNOMED CT does not have body system or aetiology chapters, as ICD-10 does, but classifies Chronic fatigue syndrome, Benign myalgic encephalomyelitis and the various other terms listed under Synonym terms to SCTID: 52702003 Chronic fatigue syndrome under Parent disorder: Multisystem disorder (disorder). In SNOMED CT, Postviral fatigue syndrome is located under two Parents: Multisystem disorder (disorder) and Post-viral disorder (disorder). For ICD-11, there is no Multisystem disorder chapter but the ICD-10 classificatory concept that a disease or disorder can be classified in only one location has been dispensed with for ICD-11. For ICD-11, diseases and disorders that straddle more than one body system chapter can be listed under more than one parent and under two or more chapters, though the code assigned remains the same wherever they are listed under secondary or tertiary parents. The chapter location and parent class(es) for the three G93.3 ICD-10 legacy terms has yet to be finalized for ICD-11. But do not necessarily assume that for ICD-11, the three terms will be proposed to be listed in the same way they are currently listed within ICD-10.